Thu., March 22, 2018, 8:49 p.m.
Thursday was supposed to be the eve of spring vacation at Coeur d’Alene High School, a regular school day in which Coeur d’Alene High students roamed the halls in anticipation of 10 days of freedom. Classes were instead canceled as the school faced a moment of shock and grief. The school and community learned Wednesday that its principal, Troy Schueller, had been found at home with an apparent self-inflicted gunshot wound. He later passed away at Kootenai Health. Under gray skies Thursday morning, students and faculty placed flowers, notes and signs on steps in front of the school’s entrance in a memorial to the educator of 21 years. Schueller , 43, spent the last 10 years at Coeur d’Alene High, the past two as principal. The St. Maries native previously spent 11 years in the Kellogg School District as a principal, teacher, wrestling coach and athletic director. Hundreds took to social media to voice their sadness and disbelief on the passing of Schueller, a man who left behind a wife, two children and two grandchildren. Most comments were from former students. Others were from community members, faculty and friends and family. Debora Paul, a retired Coeur d’Alene High custodian, said Schueller often went beyond the call of duty. Josh Watson, a Kellogg High School graduate, credited Schueller for his progression as a wrestler . Local politicians and coaches also gave their condolences. 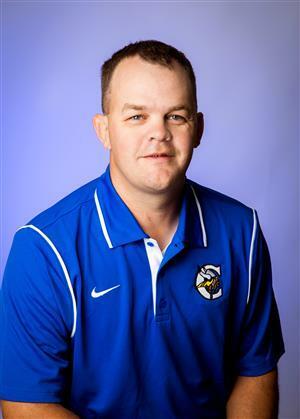 “Thinking of each and every one of you associated and mentored by Coeur d’Alene High Principal Troy Schueller,” EWU head football coach Aaron Best posted to Twitter. Crisis counselors were be on hand Thursday to help students and staff. Published: March 22, 2018, 8:49 p.m.